You ready for this? No, seriously, we need you ready for this. Something big is coming back to the small town: Heroes of Midlothian OKTOBERFEST 2019! 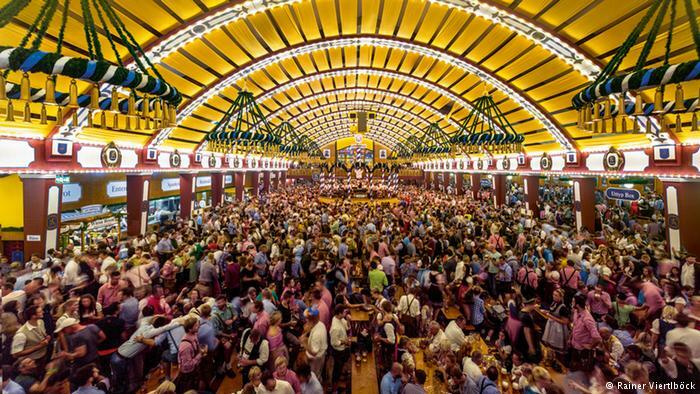 Prior Oktoberfests drew over 3,000 people for the food, the drink, and the family fun. And all this helps support our local charity. Heroes of Midlothian Foundation has given out over $55,000 in educational scholarships and assistance to the families of local law enforcement, firefighters, and military veterans. You want some details? A reasonable request. We will oblige. 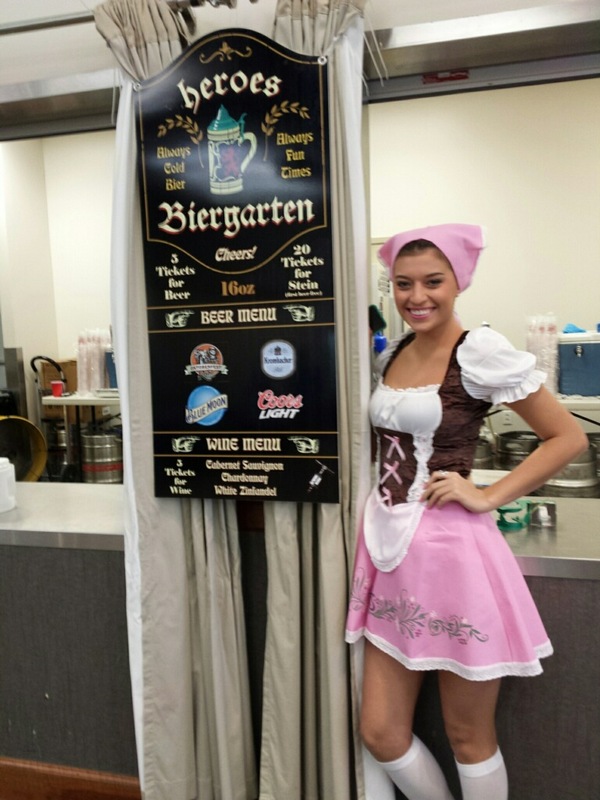 While a family first event, it wouldn't be Oktoberfest without some fermented beverages to drink. We will, of course, have your usual domestic swill; but even better we'll have available a couple local craft brews and some traditional Germans. Full beer line-up will be announced soon. Newly styled 2019 HMF Beer Steins will be available for purchase (and include your first beer free). We are also planning a little Stein hoisting competition: how long can you hold your stein out in full toast? Last man or woman toasting wins. Shouts of Prost! optional but encouraged. You like brats? We do too. 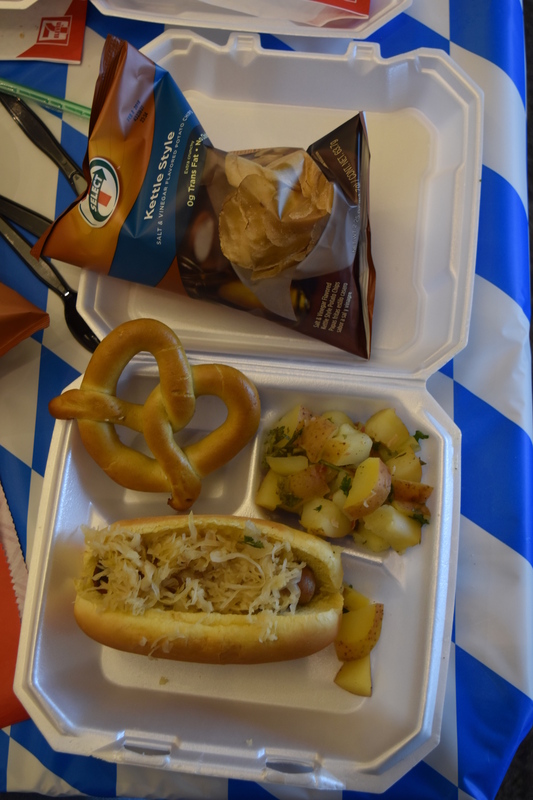 The Food Garten will again serve up tasty treats like brats, hot dogs, potato salad, chips, pretzels, nachos, and soft drinks and water. Or snack it up with cotton candy and popcorn. We don't judge. Pretty much guarantee you won't be bored. The hall will be filled with music: current hits, old school country, and some occasional polka just because we can. The music is personally selected by our attorney/DJ, who is unpaid and has exceptionally poor taste. The expanded Midway will include awesome bounce house/obstacle course things and awesome carnival and backyard games great for the family. The raffles help fund our scholarship, and in four years we've awarded scholarships of $32,000 total! Pretty fly, and we'd like to keep it going. Raffle tickets will be $5 each or 5 for $20. We've got some pretty awesome prizes that will be announced soon. But you do have to be over the age of 18 to win - that a problem? Raffle tickets will be sold around town starting late summer 2018. You can also grab them at the event. The Heroes of Midlothian Foundation is a non-profit, all-volunteer organization dedicated to improving and supporting the community of Midlothian, Texas. The Foundation provides short and long-term assistance to Midlothian-area families of military, veterans, law enforcement, firefighters, and other public servants. The Foundation also provides educational scholarships to local students through its Memorial Scholarship Program, which honors the legacy of fallen heroes. The Foundation is a tax-exempt 501(c)(3) entity. Donations are tax deductible to the extent allowed by law. Legal Disclaimer: Actual decorations may substantially differ at event. Like seriously differ. Fun, however, is fully guaranteed.